It’s 2018 the year of 4G Network and Smartphones but still, in a survey, there are 52% users in India Still using 2G/EDGE Network and most of them are aged around 45-65 and we know why. There is a huge number of users who just want a phone for calling purpose and they don’t want to use any social media site like Facebook, Instagram and twitter they just use a phone for calling or max a text message. And they are looking for a simple feature phone which can receive a call and that’s why we are here with our Top 5 Best Keypad Phones Under Rs. 2000 in India which you can buy in 2018. Nokia 150 is or the First Choice if your budget is up to Rs. 2000 for a keypad T9 mobile phone because it has a good build quality and looks premium in the hand as compared to any cheap mobile phone. 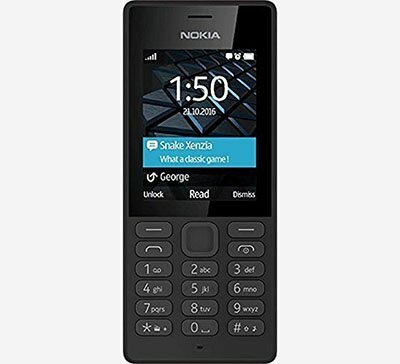 Nokia claims that this phone has 25 days standby on a single charge with dual sim and up to 31 days standby with single sim so, it’s a great thing for anyone who often forgets to charge a phone and want to use this phone as a secondary phone for casual usage. Overall Nokia 150 has a Big 2.4 inch screen with decent specifications and a long-lasting battery life on a single charge easily last for 2 days which makes this phone a perfect choice your parents or if you want to use this phone as your secondary phone for voice calling purpose only. 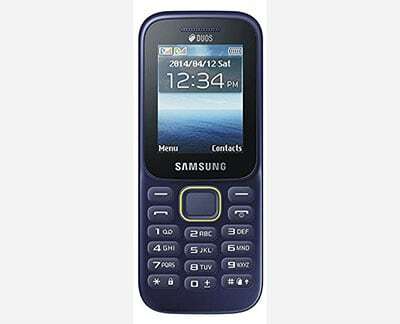 If you are a Samsung fans boys or Samsung care is more close to your home then you can go for Samsung Guru Music 2 which offer almost similar features to Nokia 150 but has an only 2.0-inch screen with low resolution. But if you want a Camera in your phone then Samsung Guru 2 music will disappoint you because there is no front or rear camera available on this one. Samsung Guru 2 Music has a good option for those who want listen to music and looking for a phone for voice calling or text message that’s why we ranked guru 2 music on No.2 in Our List. If your budget is up to Rs. 1500 but want all the basic features on your phone and brand and after sales service doesn’t matter for you then Micromax X803 is a great option for you. It has a Big 2.8-inch Display with 32MB of RAM. You can take pictures with this phone, listen to music via Speaker or earphones you can Install up to 8GB of SD Card in this Phone. The Biggest problem with this phone or any other Micromax phone is after sales service and Micromax continuously working on it but still after-sales service experience is not as good as Nokia or Samsung today in the market and battery life of X803 is only 1.5 days which is due to bigger screen on this one. Overall it’s a featured pack phone under Rs. 1500. 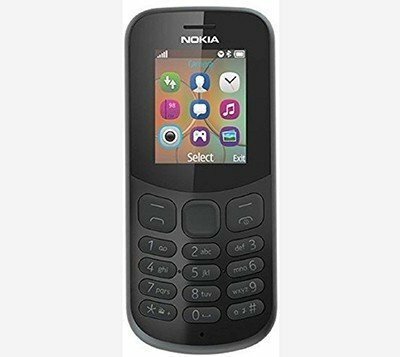 Nokia 130 is also a really good keypad phone under Rs. 2000 but this phone has only 1.8-inch Display which is really small as compared to other phones in this price range but due to smaller screen, this phone can easily last for 3 to 4 days on a single charge. If you just want a phone for calling purpose then this could be a great option for you but if you like to do text message too then the 1.8-inch screen can be a trouble for you. Nokia 130 is a good phone and offer all the basic features like 3.5mm jack, a VGA Camera, good battery life but missing a good screen. 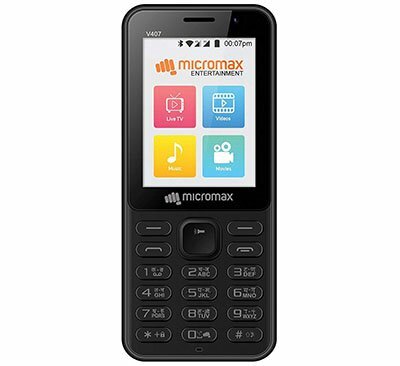 Micromax Bharat 1 is the Only Android Keypad phone Under Rs. 2000 or you can say this is the best keypad phone with tons of features available under Rs. 2000 and support 4G Network. This could be a great option for anyone having a low budget and looking for a 4G Phone but if you are thinking to use this phone for Hotspot feature then you could. Otherwise Jio, Airtel 4G working fine with VoLTE. WiFi and Hotspot running smooth. Battery life is fine. It comes with a lot of smart features like internet browser, Wifi, and much more. But If this phone is a dual sim phone then this could be a great choice for anyone. 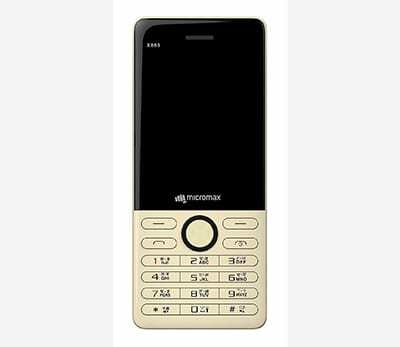 So, guys that is our choice for Best Keypad Phone Under 2000 INR for you guys if you think we missed something or you have any question or query do drop in the comment section below that belogs to you lovely guys.